1/2" CHROME WIRE SLEEVING. Price is per foot. 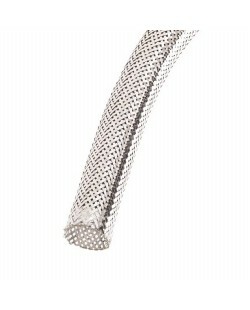 CHROME WIRE SLEEVINGPrice is P..
3/4" CHROME WIRE SLEEVING. Price is per foot. 5/16" CHROME WIRE SLEEVING. Price is per foot.